The SDO for master acts as SDI for slave and vice-versa. Serial clock is invariably provided by the master. 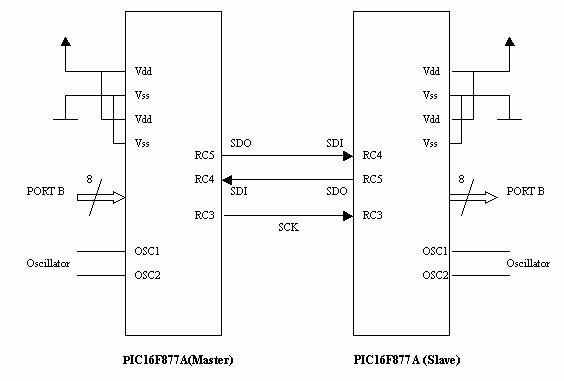 The SPI communication settings are done using SSPCON register. Transmission is initiated by the Master by writing to the SSPBUF register. When transfer is complete, Synchronous Serial Port Interface Flag (SSPIF) will be set. This can cause an interrupt if peripheral interrupt is enabled.